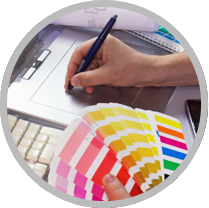 We offer cost effective Graphic Design Services from logo design to designing your next direct mail campaign We want to make sure your first impression leaves a lasting impression with your customers. Quantity - Larger quantity jobs with a lower page counts are usually jobs that go on our presses. This is not the case with all printers. It may depend on the sheet size that an individual printers press can print. Color Match - When an exact color match needs to be made, we can mix the exact color and print on our printing press and match this color each and every time. Stationary - Letterhead and envelopes are normally printed on press. We can use laser proof inks which will allow them go through your printer and copier seamlessly and will also ensure that the inks don’t smear when mailing. Timeframe - Normally printing press jobs take from 3-7 days to complete... Of course there are exceptions so to avoid additional fees and unforeseen problems please plan appropriately. 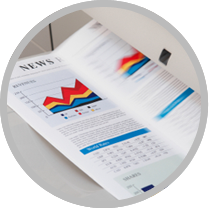 Our high-speed copiers are ideal for such projects as manuals, spec books, directories and other high page count materials. Our copiers can provide inline finishing services such as saddle stitching, corner stitching, collating, 3-hole drilling and slip sheeting. In addition to accepting your camera ready copy, we can print directly from a disk or your uploaded file from our website. Copy jobs are often done the same day are normally faster than jobs on a printing press.